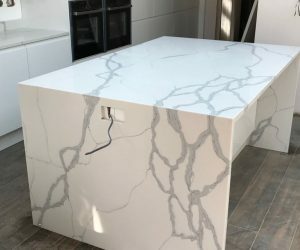 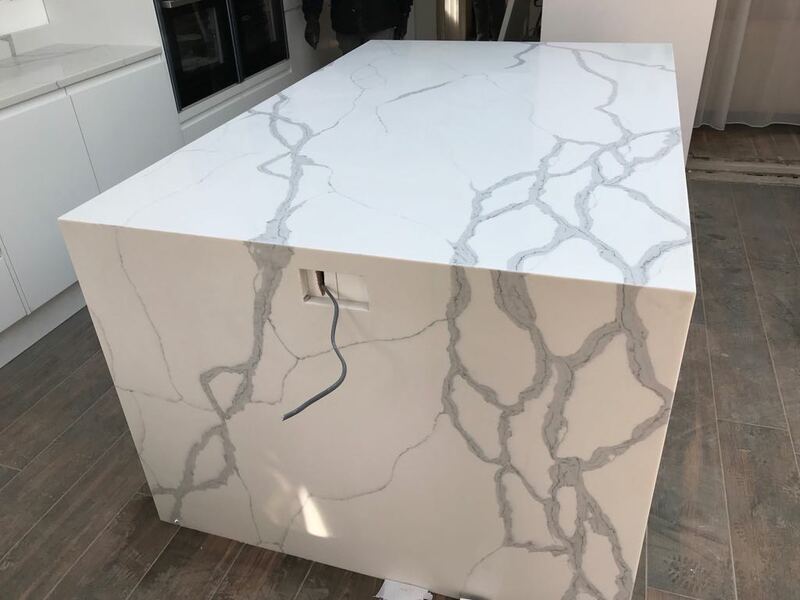 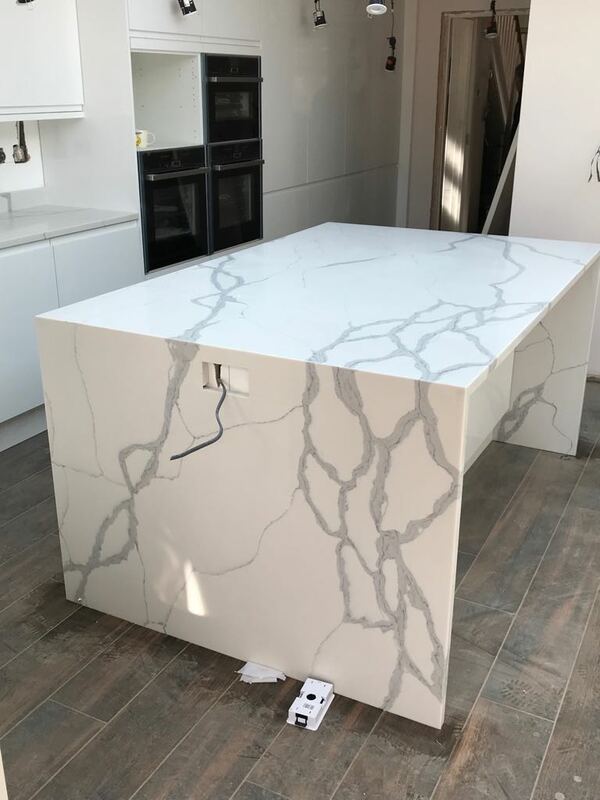 One of our personal favourites, this worktop is nothing short of amazing due to the waterfall effect of the island legs. 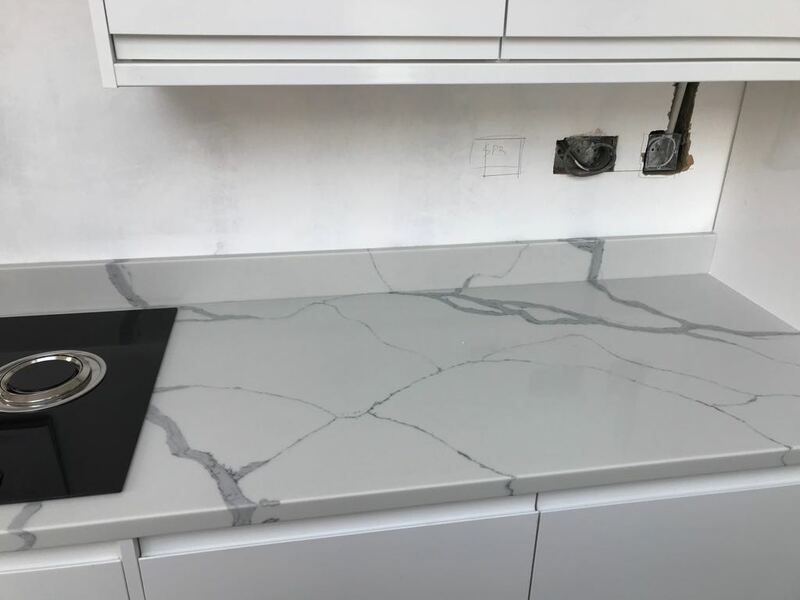 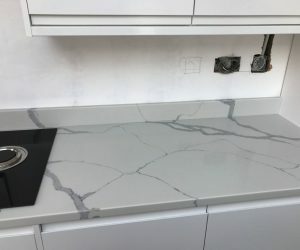 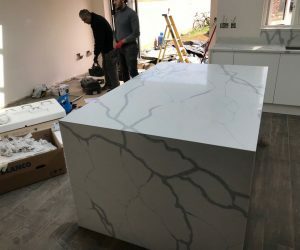 In technical terms we call this “book match” – if you look closely you will notice that the vein of the worktop follows the same patters down onto the leg of the worktop. 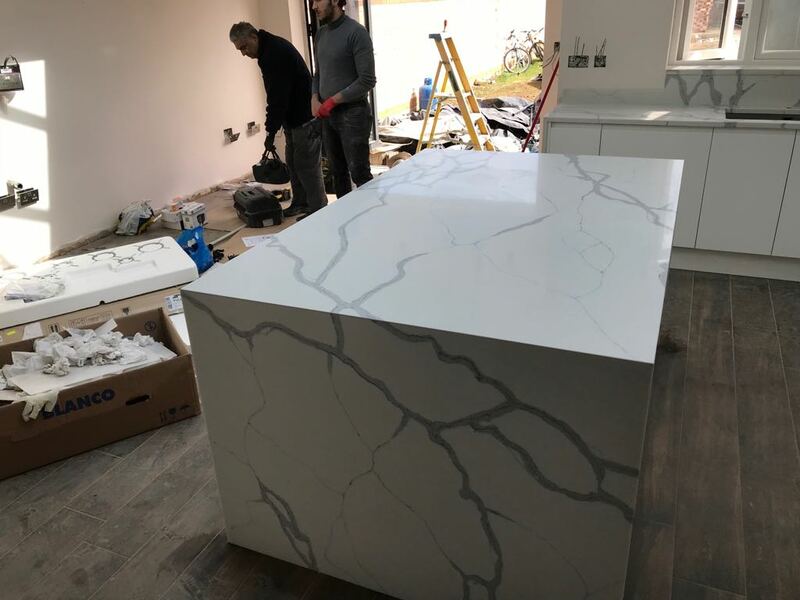 This quartz has really complimented this handless modern white German kitchen perfectly, another very happy Client!